Alliance Counseling & Therapeutic Services offers individual, couples and family therapy focusing on communication, conflict resolution, trauma, personal adjustment issues, substance use disorders, co-occurring disorders and DWI aftercare. Treatment is Client centered, strengths based and utilize a variety of interventions based on Evidenced Based Practices, such as Cognitive Behavioral Therapy (CBT) and Motivational Interviewing. At Alliance Counseling, we focus on helping people attain safety from trauma/PTSD, mental health and substance abuse. Alliance Counseling Services is a private counseling partnership incorporated in May 2009 by Elizabeth Palladino, LICSW and Kristen Welch, LICSW, MLADC. Both partners are New Hampshire and Massachusetts licensed. The purpose of this partnership is to provide professional counseling services in a confidential supportive environment. Services include individual therapy, couples and family therapy. Co-occurring mental health and substance use disorder treatment is available. In addition, Alliance Counseling Services works in conjunction with the NH Department of Corrections: Parole/Probation. Prior to initiating any therapy, individuals will complete the intake assessment at which time a treatment plan is developed. Individuals/Couples/Family therapy sessions are forty-five (45) to fifty (50) minutes in durations, unless a shorter time is agreed upon by the Client and Therapist. 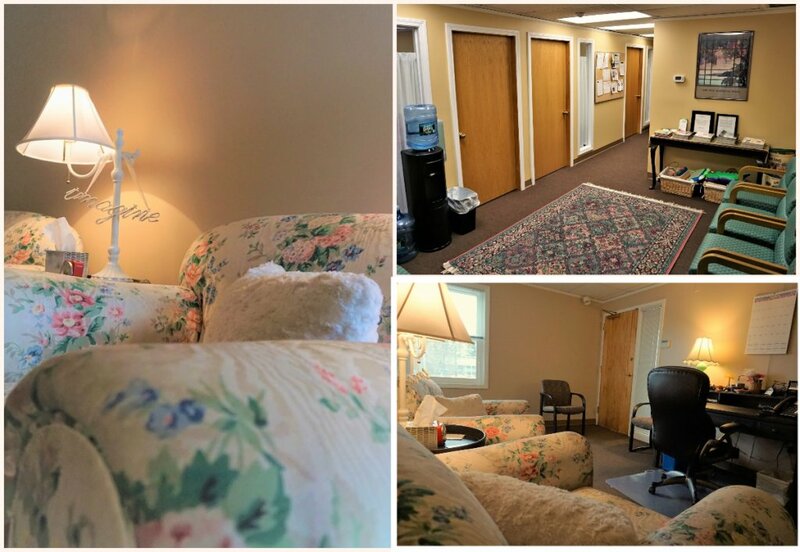 Alliance Counseling is currently seeking an insurance contracted, independent clinician to share office space with an established thriving clinical counseling practice, servicing the Salem, NH and surrounding areas for the past 10 years. Office has a couch that can seat two and another chair - perfect for individual, couples, or family sessions. Also, a large desk & comfortable chair for the therapist. This is a corner office with windows that lets in a lot of light within a professional building. Rent includes unlimited use of internet, use of printer/scanner. The office is up 1 flight of stairs. Please contact if you are interested in learning more. This would be the perfect situation for someone looking to build a practice up. Alliance Counseling is by appointment only. Please call or email to make an appointment. We offer both day and evening appointments. Elizabeth Palladino (epalladino@alliancecounselingservices.net) is available Monday and Wednesday from 2pm-7pm. Kristen Welch(kwelch@alliancecounselingservices.net ) is available Monday through Thursday 9am-6pm. Appointment times are reserved for you. If you are unable to keep an appointment, please call 24-hours in advance to cancel. Unless the driving conditions are dangerous or you have an emergency situation, all sessions that are missed or not cancelled within 24-hours will be charged to you for the missed session fee of $40 as insurance companies cannot be billed for missed sessions. The missed seesion fee ($40) would need to be made in full prior to next apointment.